The external corporate governance instruments that determine the framework for Nynas’ corporate governance consist of the Swedish Companies Act, Annual Accounts Act and other relevant acts. Sound corporate governance is fundamental to Nynas, and the objective is to ensure sound and adequate corporate governance of the Company. 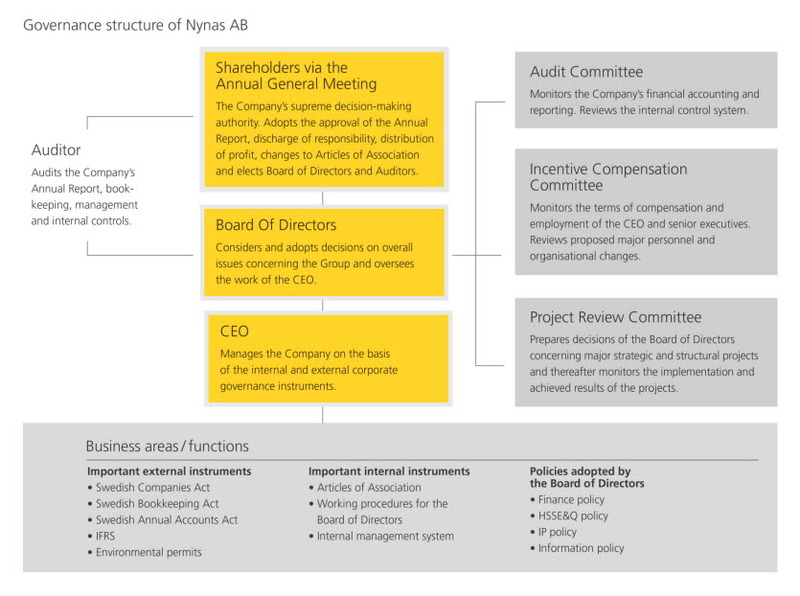 The binding internal corporate governance instruments are the Articles of Association adopted by the Annual General Meeting and the Working procedures for Nynas’ Board of Directors adopted by the Board of Directors, the instructions for the CEO of Nynas, instructions for the financial reporting to the Board of Directors, the instructions for the committees nominated by Nynas’ Board of Directors, as well as the Finance Policy. 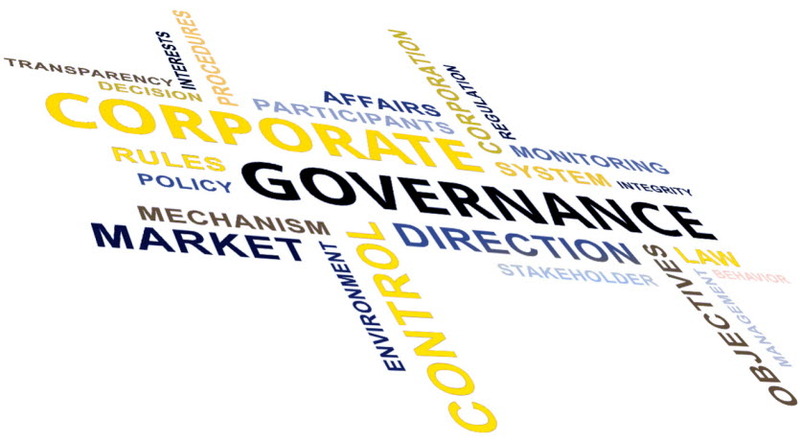 In addition to these corporate governance instruments there is also an internal management system that includes a number of policies and binding rules stating guidelines and instructions for the Group’s activities and employees. These include regulations for compliance with competition legislation, policies that prohibit bribery and other corruption, and operative manuals that lay down accounting and reporting regulations. In addition to the overall policies, key working processes and instructions are also defined.